Mount Rushmore is a famous carving of four U.S. presidents into the side of a mountain in the Black Hills of South Dakota. This project was begun in 1927, and ended incomplete in 1941. 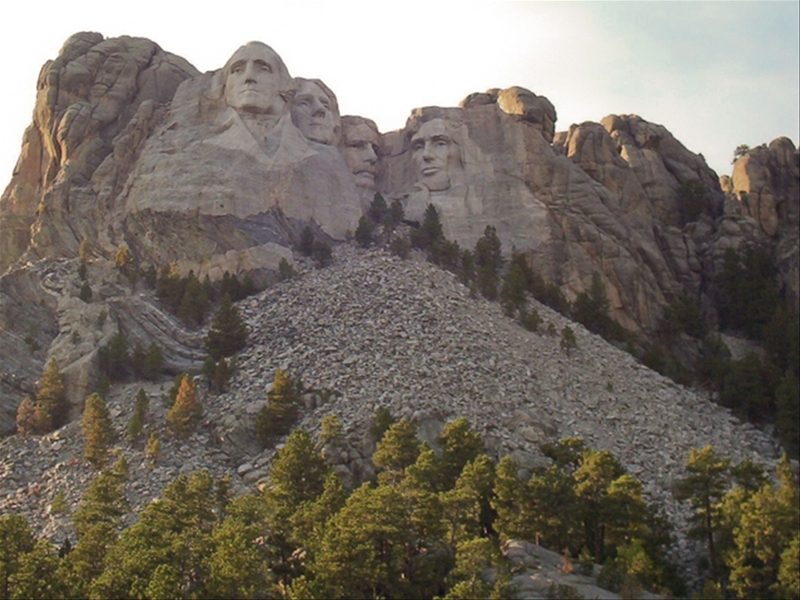 Each head is 60 feet high, and four presidents are Washington, Jefferson, Roosevelt and Lincoln.